The process of wound healing may be best understood by dividing it into phases.1-4 These phases are somewhat arbitrary, as they overlap in time, physiology, and cell type, with each phase not entirely completed before the next begins. Our knowledge of these phases is constantly improving, resulting in additional revision of our understanding of how these different aspects of healing interact. In addition, not all wounds heal in precisely the same manner due to differences in the etiology of the wound, presence or absence of infection, and medical or surgical interventions. Which of these components predominates depends on whether the wound is closed immediately (first intention), allowed to granulate (secondary intention), or has delayed primary closure (third intention). These processes remain more similar than different regardless of how the wound is managed. Medical and surgical interventions primarily change the time course of events. For the purposes of the present discussion, the healing process will be divided into the five components of hemostasis, inflammation, proliferation, contraction, and remodeling (Figure 1.1). FIGURE 1.1 The process of wound healing may be considered to consist of five overlapping stages. Some authors combine one or more of these stages under a single category. The time course of these stages depends upon methods of treatment and metabolic status of the injured individual. One of the most active components of the hemostatic phase of wound healing is the platelet. Platelets are present in the blood; they rapidly aggregate and degranulate in the wound. With degranulation, numerous cytokines, such as PDGF (platelet-derived growth factor) are released (Table 1.1).346-8 PDGF is a potent cytokine with numerous functions, including being a chemoattractant for neutrophils, one of the dominant cells of the inflammatory phase (Figure 1.1). The stage of hemostasis does more than just stop exsanguination. It also initiates the process of healing by creating a protective layer to minimize the infection risk while providing both a biochemical milieu and physical framework for the stages that follow. Thus, the hemostatic stage prepares for and influences the onset of the next stage of healing — inflammation. Note: PDGF = platelet-derived growth factor; TGF-ß = transforming growth factor-ß; TNF-a = tumor necrosis factor-a; EGF = epidermal growth factor; IGF = insulin-like growth factor; IL-1 = interleukin-1; bFGF = basic fibroblast growth factor; aFGF = acidic fibroblast growth factor; TGF-a = transforming growth factor-a; VEGF = vascular endothelial growth factor; IL-8 = interleukin-8; PD-ECGF = platelet-derived-endothelial cell growth factor; KGF = keratinocyte growth factor; and HB-EGF = heparin binding epidermal growth factor. Source: From Lawrence, W.T., Clin. Plast. Surg., 25, 321, 1998. With permission. Collagen synthesis the wound. The initial vasoconstriction is replaced by vasodilation, but clotted vessels prevent continued blood loss. Vasodilation is the result of prostaglandin, nitric oxide, and other inflammatory mediators. The release of bradykinin, hista-mines, and free radicals from leukocytes leads to increased vascular permeability. This process leads to an influx into the interstitial space of macromolecules, including enzymes, antibodies to fight infection, and nutrients.11 We have long known that glucose and oxygen are crucial to the inflammatory process. More recently, it has become apparent that even the influx of a single amino acid such as arginine to the wound site may serve as a precursor for an important mediator such as nitric oxide.13 This is discussed in greater detail in Chapter 6. Similarly, lipids in the wound may be chemically altered by free radicals in the wound to create isoprostanes. These potent inflammatory mediators may stimulate a cascade of events in the wound.1214 These events are discussed in greater detail in Chapter 3. In the first two stages of wound healing, the bleeding is stopped, the wound debrided, and bacteria controlled. However, none of the major components of these stages will be a significant part of the mature healed wound. The macrophages, neutrophils, lymphocytes, and platelets will become senescent, ultimately undergo apoptosis, and will themselves then be degraded to their biochemical subunits. Nonetheless, through wound preparation, the secretion of proliferative cytokines (PDGF, interleukin-1 [IL-1], fibroblast growth factor [FGF]) and chemoattractants (transforming growth factor-[TGF-P], PDGF) these cells have done their part to set the stage for the next phase of wound healing.4,6,11,15,16 This transition to the proliferative stage is not discrete. Macrophages may remain active at altered levels throughout the healing process, secreting collagenase and elastase into the wound to aid the influx of proliferative cells and remodeling of the wound. Should the wound become infected, polymor-phonuclear leukocytes will return in numbers to control the bacterial proliferation, and macrophage numbers will increase. Clearly, this will stimulate a recurrent cascade of events that maintains the wound in a more inflammatory state and interferes with progress to the next stage. Here the clinician may alter the course of the wound healing. Removing debris surgically, either with wound care or whirlpool, lessens the job of the inflammatory stage. Maintaining bacterial control with topical or systemic antibiotics will also expedite this stage. Clearly, the ultimate intervention is closing the wound, thus making these stages as short as possible. Finally, proper systemic support (i.e., critical care) to aid tissue perfusion or metabolic support to optimize the immune response by providing substrate for energy or protein synthesis is necessary for optimal outcome in the healing wound. Fibroblasts are responsible for the production of the key extracellular structural components of the healing wound. Most of the ultimate scar formed in the healing process is made of the structural protein collagen, although a variety of proteoglycans and other proteins are also present. The amino acid structure of collagen is unusual, consisting of the repeating triplet structure of glycine -X-Y. Approximately 20 to 25% of the "Y" position is either proline or hydroxyproline. Hydroxyproline is found almost exclusively in collagen and is made from the posttranslational hydroxylation of proline. This requires the mixed function oxygenase prolyl hydroxylase as well as the cofac-tors of ferrous iron, a-ketoglutorate, free molecular oxygen, and vitamin C.17 A similar process also creates the amino acid hydroxylsine from lysine, an amino acid crucial to proper collagen cross-linking. 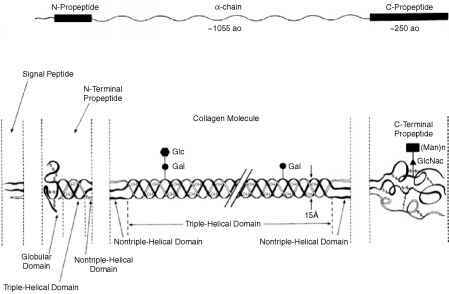 This cross-linking is essential to impart the tensile strength and decreased turnover as seen in the mature collagen molecule. It is clear that these amino acid substrates must be present in adequate amounts for normal wound healing. Without adequate available amino acids and cofactors such as vitamin C, there would be inadequate collagen. Without adequate quantities of collagen, the wounds will be weak, leading to dehiscence. This phenomenon will be discussed in more detail in Chapter 8. The proliferative phase also involves the influx of endothelial cells and neovascularization. In some wounds left to granulate and heal by secondary intention, this process will dominate, leading to beefy-red vascular tissue. This process, like the fibroblast migration and proliferation, requires large amounts of energy compared to the quiescent wound that is mature. This process of angiogenesis is under the strict control of cytokines being stimulated by FGF-2 and vascular endothelial growth factor (VEGF), among others.19-21 Proliferating endothelial cells must be properly aligned on the fibrin-fibrinogen matrix to form vascular sprouts and channels to create the new vessels. While epithelialization is another component of the proliferative phase, it may dominate in certain wounds, such as superficial burns. Basal epithelial cells present in the wound edge or in the epidermal appendages such as hair follicles begin to migrate across the wound edge in the early days of wound healing. Again, this is under cytokine control, such as by TGF-P, EGF (epidermal growth factor), KGF (keratinocyte growth factor), and FGF-7 (Table 1.1).41922 As the cells proceed across a newly produced collagen matrix, they produce a new basement membrane essential to normal epithelial cell activity. Contraction is a process of wound healing whereby the wound essentially shrinks by recruiting adjacent tissue and pulling it into the wound. This process is intimate with the phases of proliferation and remodeling, because the key effector cell is the fibroblast (Figure 1.1). More specifically, the cell involved is the myofibroblast as first described by Gabbiani et al.1923 While motor function is present in all fibroblasts as well as in other cells such as leukocytes, these cells are modified in a way that moves the edges of the wound toward the center of the wound, rather than just being motile and moving themselves. This process is independent of collagen synthesis, but collagen in the extracellular matrix aids in locking the cells in place, thus augmenting the contraction process.4 Stimulation of this process is under control of TGF-P as well as of other cytokines. Depending on the location and origin of the wound, contraction may be a major process in wound closure. In animals, such as the rat, with a panniculus carnosus, contraction may dominate the process of wound healing such that it may interfere with use of this animal as an experimental model of human wound healing. The back of the human hand has loose mobile tissue, similar to the skin of a rat, which readily allows the process of contraction to be a major contributor to the healing process. The result will potentially interfere with use of the hand should the contraction process render the skin too tight. The same forces may be less effective on the palm of the hand or the sole of the foot, where the skin connections render the skin more stable. Thus far in the process of healing, the wound is characterized by a high level of metabolic activity. This allows for the extensive proliferation of inflammatory cells, epithelial cells, endothelial cells for angiogenesis, and fibroblasts actively laying down the collagen matrix of the healed wound. During the remodeling phase, the nutritional requirements of wound healing will be diminishing. Initially the wound is a soft, cellular structure lacking strength. 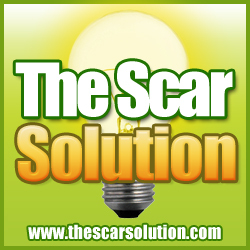 Subsequently, through the process of remodeling, the scar is transformed to the final mature healed wound with tensile approaching that of the uninjured tissue. These processes appear to be under the control of interferon, matrix metallo-proteinases, TGF-P, PDGF, and IL-1, among others.4 19 20 Although such enzymes may control the collagen type and the synthesis and degradation rates, they likely have less to do with the degree of collagen cross-linking. Collagen cross-linking starts with the hydroxylation of lysine to make hydroxylysine. Once the initial crosslinks are formed, the maturation of the cross-link to the more mature cross-link appears not to be under enzymatic control.24 This suggests that certain aspects of the maturation process occur as a direct result of the chemical structure of the collagen molecule rather than of enzymatic control. This may provide a certain metabolic efficiency for changes in an extracellular molecule less directly accessible to intracellular enzymes. While not as rapidly changing as the phases preceding it, the remodeling phase is equally important. As we will see, under certain disease states, such as scurvy, the balance of synthesis and degradation is crucial to maintain a healed wound even years after the original injury. This is discussed in Chapter 8 in greater detail.